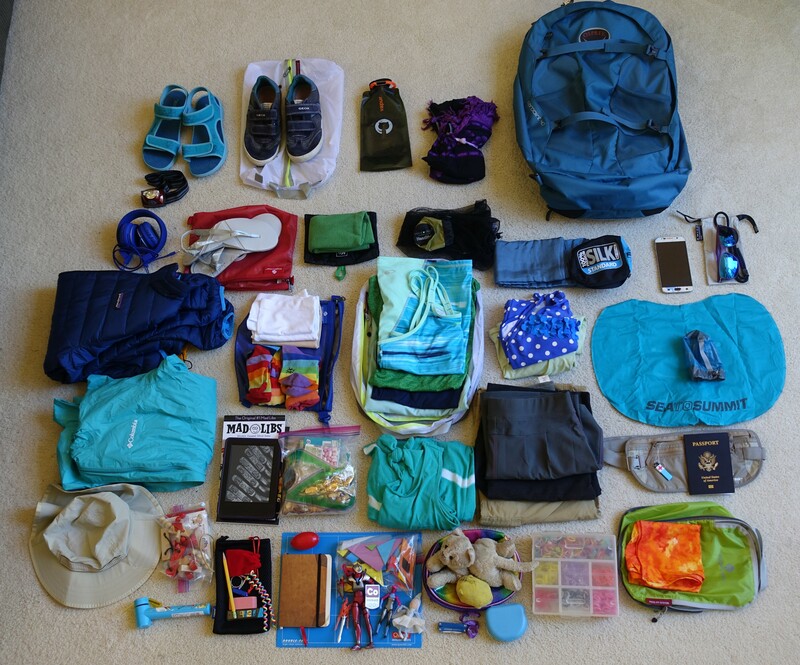 We started working on the packing list in earnest in April. 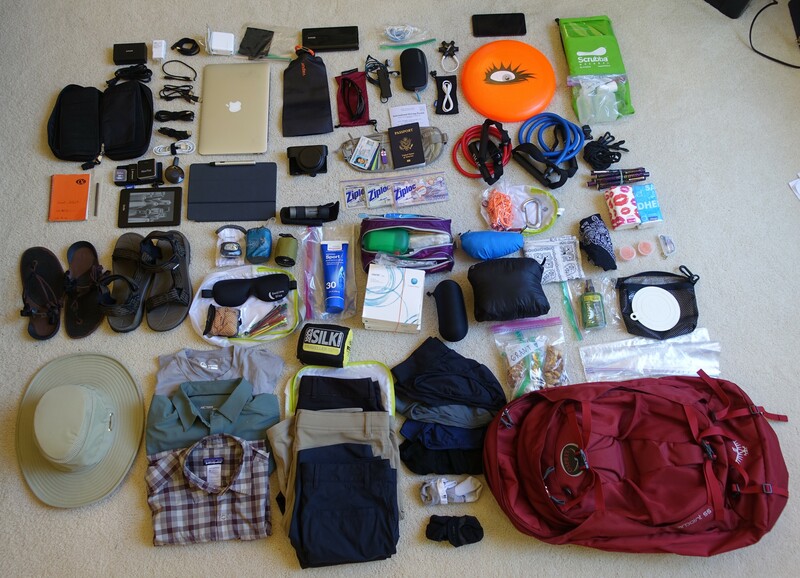 After finding inspiration from a few sources (Lonely Planet,Â One Bag, Wirecutter)Â we came up with a spreadsheet. 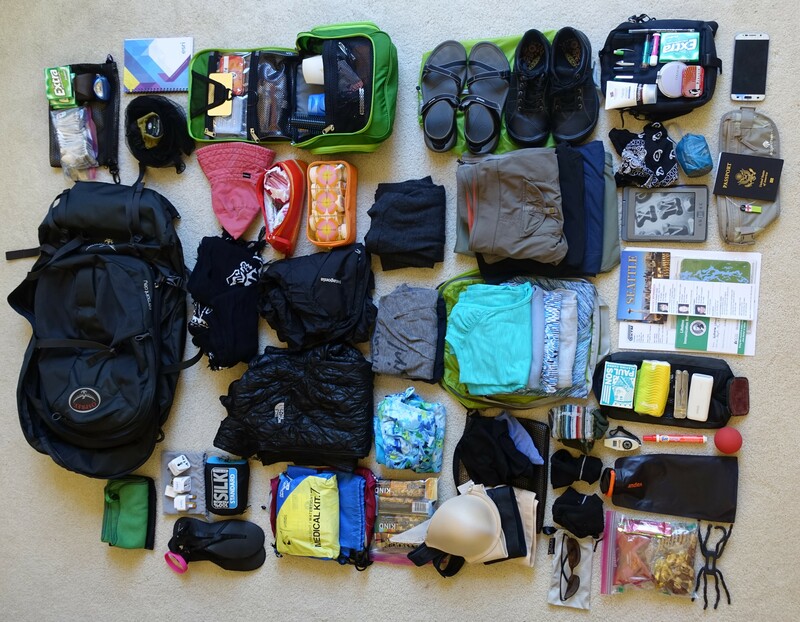 We have one column for each person plus a daypack, shared items, and a few other lists like toiletries and first aid. One of the earliest choices to make was luggage. Suitcases are great in airports and cities, but we were planning to visit some pretty rural areas, places where wheels wouldnâ€™t work. Backpacks seemed to make more sense. 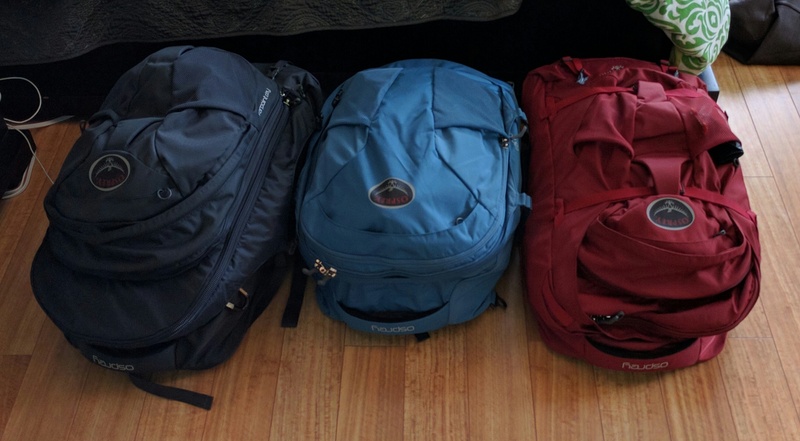 After some test fits at REI, we all independently selected Osprey Farpoint packs as our favorites. 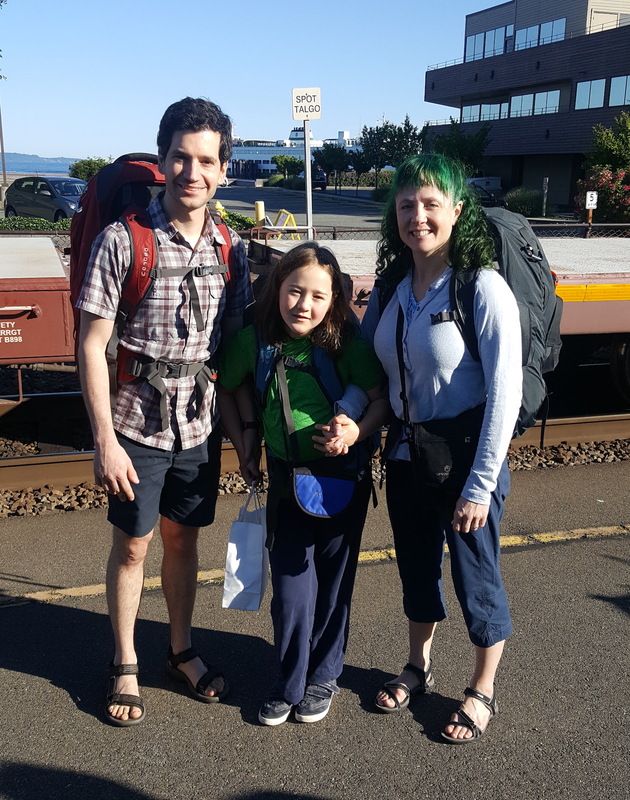 Kate got the Farpoint 55 with attached daypack and Ruby chose the Farpoint 40, which fits her surprisingly well. I initially got the Farpoint 70, but after a packing test (with towels standing in for things I didnâ€™t have yet) concluded it was just too big. You donâ€™t really need much stuff! Three outfits and a toothbrush. In the old days books were a heavy burden, but now we have Kindles. So I ended up with the Farpoint 55 too.